An EPB Fiber Optic controller talks to a co-worker Thursday following an FCC's decision that allows Gigabit Internet service to expand beyond the Chattanooga area. EPB CEO David Wade speaks at the event. The Electric Power Board of Chattanooga unveiled its new 100 kilowatt, 4-hour, vanadium redox flow battery made by UniEnergy Technologies of Mukilteo, Washington on September 22, 2017. Chattanooga's electric utility is increasingly living on a high-fiber diet. Less than a decade after launching its telecommunications business, EPB expects to reach 100,000 customers of its fiber optic services by this fall — nearly triple what EPB initially forecast for the service when it was launched in 2009. The city-owned electric utility, which added telephone, internet and video services using the same fiber optic network needed for its smart electric grid, has now captured nearly two-thirds of all of its customers with at least one of its telecommunications services. EPB Fiber Optics has signed up more than than 97,500 customers with its ultra-fast fiber optic telecom service in what it proclaims as "Gig City." By October, EPB expects to top 100,000 telecom customers on its way toward projected revenues in fiscal 2018-2019 of $169.1 million in its telecom division. When EPB began, it estimated 35,000 of its customers would subscribe to EPB's internet, video or telephone services, which competes for customers with satellite providers and other internet service providers such as Comcast and AT&T. 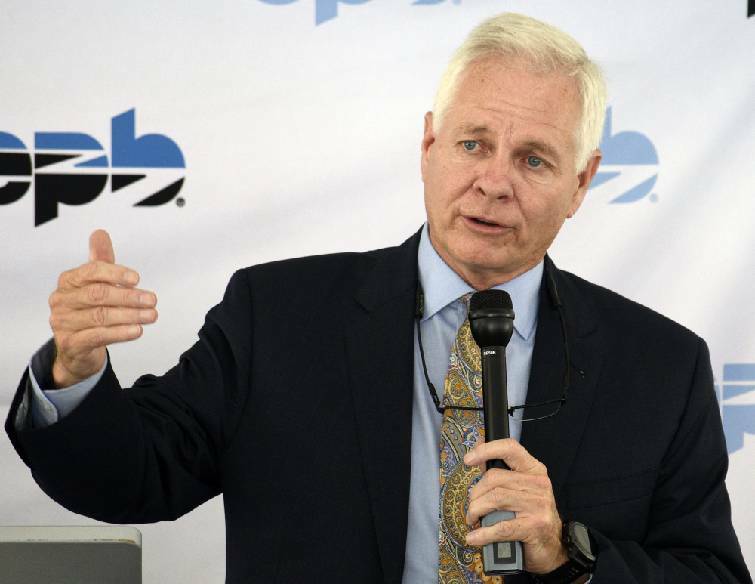 "When we launched this service, we all took a big gulp when we made the decision to issue nearly a quarter of a billion dollars in debt to start this service even though we had had no debt at all at EPB for so many years," EPB Chairman Joe Ferguson said. "But we were convinced it was the right thing to do for our community and I think our results have shown the wisdom of what we did." In its budget plan for next year presented to EPB directors Friday, the utility projects it will return $45 million in payments from the telecom network to the electric system and earn $24.3 million from its telecom division, keeping EPB's power rates 8 percent what they would otherwise have been. "Our electric rates would have to be higher if we didn't have our video and internet services so we are not only giving consumers more of a choice with their internet options, we are keeping their power bills lower," EPB President David Wade said. 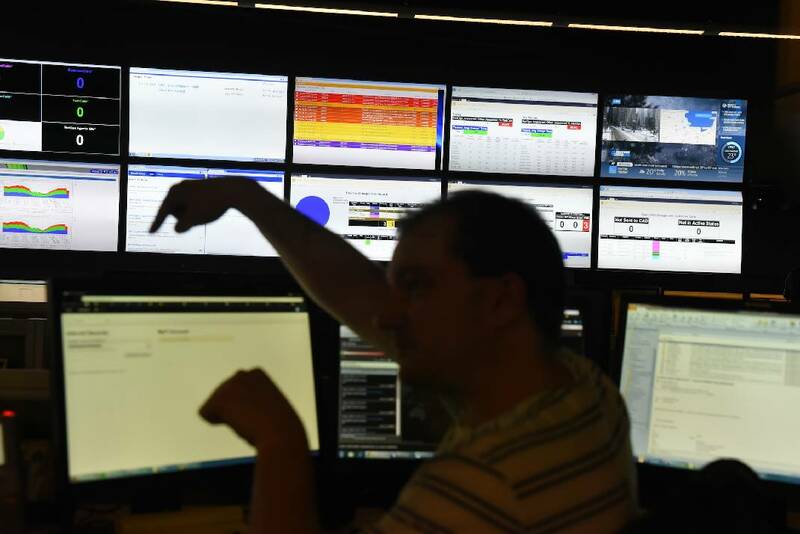 EPB has benefited by being able to piggy back its internet, video and phone services on to the fiber optic lines it installed to create a smarter and more robust power grid nearly a decade ago with the aid of a $111.6 million federal stimulus grant in 2010. The federal assistance paid for nearly half of the cost of building out the fiber optic network to all of EPB's customers in Southeast Tennessee and portions of Northwest Georgia. EPB's fiber optic system paid off the last of its debt earlier this year "and our balance sheet and finances for the fiber optics business are awesome," said Jon Kinsey, a former Chattanooga mayor and EPB board member. EPB has become the dominant provider of internet and video services within its own service territory, even though the number of customers subscribing to video services, or cable TV, continues to decline as more viewers switch to streaming video services instead. Greg Eaves, EPB's chief financial officer, said EPB doesn't make much, if any, money from its video services and it expects to have to raise its cable TV rates again next January when video content providers typically raise what they charge for their offerings. The growth in the fiber optics business is in contrast to EPB's relatively stagnant sales of electricity. Although EPB expects to add 1,641 more power customers in the next year, overall electricity sales are not projected to rise much, if any. "Every time you buy a new appliance or heating or air conditioning unit, you get more efficiency and power use declines," Eaves said. EPB's power sales peaked in 2001 and have been flat to declining every year since. EPB projects it will generate electricity sales of $594.7 million in the next year, up from $580.6 million this year, primarily due to the expected rise in TVA power charges, not necessarily any more electricity sales. Under the budget plan slated for a board vote in June, EPB doesn't plan to increase its own share of electric rates in the next year. But the local power company will pass along a 1.5 percent wholesale rate increase expected in October by its power supplier, the Tennessee Valley Authority. EPB opted not to participate in TVA's rate restructuring in the fiscal year that begins in October of this year, opting instead to join the program a year later. TVA directors voted earlier this month to impose a grid access fee on EPB and other local power companies to help cover more fixed costs. The new charge will equal about 6.5 percent of what each local power company has purchased over the past decade, but those increases are offset by lower variable rates. Local power companies may either join the new rate system in fiscal 2019 or fiscal 2020. "With the criticism we heard from many people, at this time we are not restructuring our rates," Wade said.